Debate This! 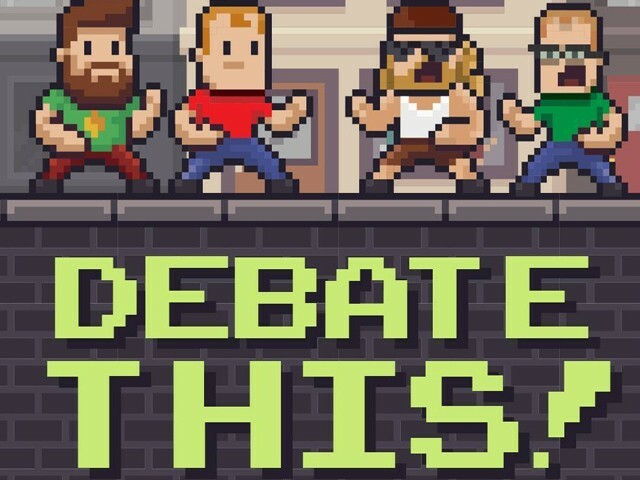 is a podcast where grown men argue about video games and comics like kids on a playground. Each episode, hosts Matt Cole, Kyle Harper, Andrew Henderson, and Todd Thomas will debate meaningless topics, like which of Dr Robotnik's inventions could have been a legitimate investment, or which of the Koopa Kids should be in line for the crown. In this show, no one is right, but someone is definitely wrong.